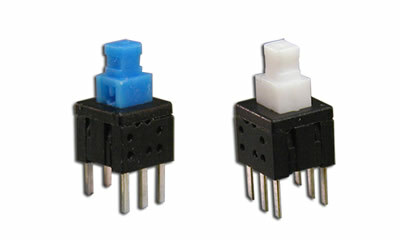 Sub-miniature in size, the LP2284 DPDT momentary push button switch for sale features latching or non-latching choices. Actuation force is 260gF. 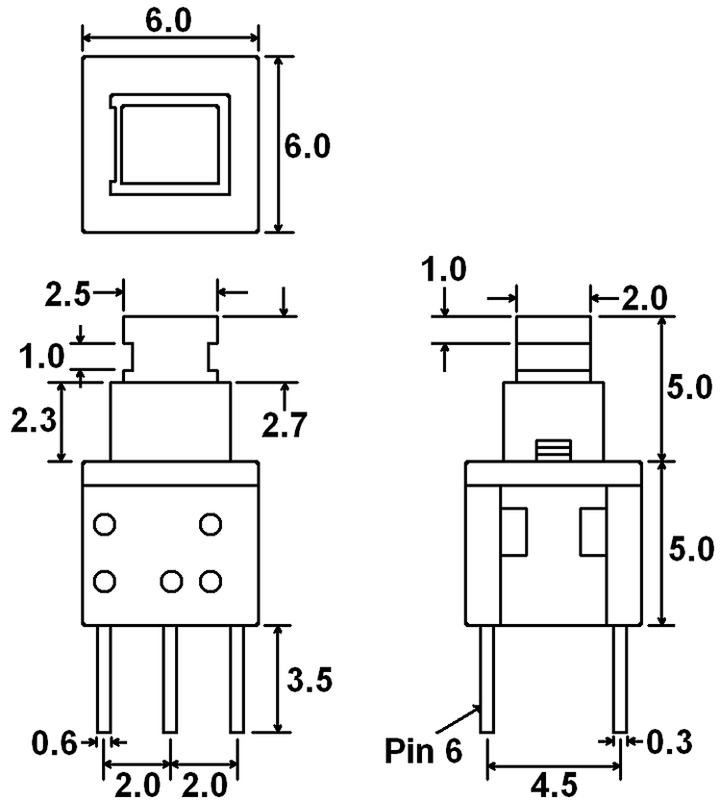 This DPDT micro switch features stainless steel latching pins and springs.